There are p-p-plenty of penguins at ZSL London Zoo in our stunning Penguin Beach exhibit – England’s biggest penguin pool! Penguin Beach recreates a South American beach landscape in the heart of London, with stunning colony of Humboldt penguins. The exhibit features a large pool with stunning underwater viewing areas so you can see how our flippered friends fly under water. The exhibit’s 1200 sq metre pool holds 450,000 litres of water! Our large demonstration area turns feeding time in to an even bigger spectacle than before. Penguin Beach Live features twice daily feeds where visitors can watch the birds diving for their food. Penguin Beach is a breeding facility for colonies of Humboldt penguins with a special penguin nursery, including a chick incubation unit and a pool where the youngsters can learn how to swim. Get up close to our colony of Humboldt penguins at ZSL London Zoo! With an adoption pack, you can help to care for our penguins at ZSL London and Whipsnade Zoo, and support our worldwide conservation work. Find the perfect present for penguin lovers! Catch a glipse of our amazing Penguin Beach exhibit. Meet our Head of Birds, Zuzana, as she talks about our fantastic colony of Humboldt penguins at ZSL London Zoo. Get up close to our colony of Humboldt penguins with a special Meet the Animals experience at ZSL London Zoo. This experience gives you special access to a VIP area inside Penguin Beach, where our penguins will waddle over to meet you. An expert zoo keeper will be on hand throughout the experience to tell you everything you ever wanted to know about our penguins. 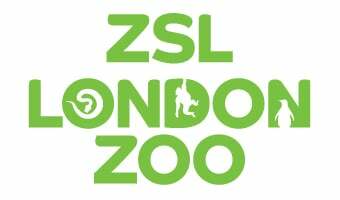 Please note that admission to ZSL London Zoo is not included and must be purchased separately. Please be aware we are unable to offer this experience during August and September as this is our penguin's moulting season. This 20 minute experience begins with a health and safety briefing from our friendly zoo keeper who will then take you to a special VIP area inside Penguin Beach. Our inquisitive Humboldt penguins will then come over to meet you. Each one of our penguins has a different personality and our keeper will be on hand to tell you who is who and answer any questions you may have about penguins. Please note that you will not feed the penguins, they have a special diet which is very smelly and we wouldn't want you smelling bad for the rest of the day! There will be a maximum of six people taking part in the experience, giving you lots of time with the penguins and zoo keeper. Is this experience suitable for me? Meet the Penguins is available for adults and children over the age of 8 years old; however children under the age of 16 must be accompanied by a participating adult who also has a valid Meet the Penguins experience ticket. This experience is wheelchair accessible and guests with carers can get a carer ticket which lets carers enter the VIP area free of charge, but carers will not participate in the experience. To get a carer ticket please call 0344 225 1826. Please note that pregnant or nursing mothers who have given birth within the previous six months cannot participate for health and safety reasons. Meet the Penguins takes place daily at 1:50pm, Monday – Sunday from October through to July. We also offer Meet the Penguins as a gift voucher. Please visit our online shop here to book as a gift for someone. If you have any questions about booking please feel free to contact us. Please note this experience is not available during August and September. Make your day out at the Zoo even more memorable - Meet one of our incredible animals with one of our expert keepers.